China is leading the globe’s cashless trend with its ubiquitous mobile payments. According to Xinhua, the mobile payment market reached RMB 81 trillion (US$12.77 trillion) as of October 2017. Tencent’s WeChat Pay and Alibaba affiliate Ant Financial’s Alipay account for 90% of the industry. These two giants are driving the transformation with their approaches to expanding the market. Born in 2004, Alipay was launched as a secure transaction service for Taobao. There were lots of transaction failures due to lack of trust, so Alipay was introduced to temporarily keep money paid by the buyer, and release it to the seller only if the buyer was satisfied. After proving itself, Alipay saw tremendous growth and expanded beyond Alibaba’s ecosystem. WeChat Pay was released 9 years later as a payment service for WeChat, the largest social media app in China. It was created for peer-to-peer (P2P) transfers and in-app purchases. However, as mobile commerce emerged and reshaped lifestyles, WeChat Pay expanded beyond its original parameters and started competing with Alipay in many areas. Although WeChat Pay came a decade later, it has captured significant market share. In Q1 2017, Alipay’s market share dropped to 54 percent, with WeChat Pay claiming 40 percent. The two compete fiercely in areas like online-to-offline (O2O) services, retail and financial services. Both entities now pursue exclusive partnerships. For instance, food delivery app Meituan Waimai no longer accepts Alipay and Alibaba’s travel agency app, Fliggy, has stopped offering WeChat Pay as an option. Walmart has rejected Alipay in many of its southwest China outlets recently because of its partnership with WeChat. Alipay and WeChat also compete in the financial services arena. Alipay’s parent Ant Financial is a full-scale financial services company, so Alipay has a wide variety of financial services integrated, such as money market investing (Yu’e Bao), insurance services (ZhongAn), credit rating services (Sesame Credit), personal credit lines (Ant Micro Loan), and online banking (MYbank). WeChat Pay has made up ground by leveraging its online bank (WeBank) and introducing LingQianTong, which allows users to earn daily interest on their balance, as a competitor to Yu’e Bao. They are also trying to break into new markets. Since 2015, Ant Financial has invested in a series of e-wallets for Asia including Paytm (India), Kakao Pay (South Korea) and HelloPay (Singapore). Tencent is also expanding into South Africa and Australia. Both have a presence in the United States through partnerships with local providers like First Data and CITCON. At this stage, it’s still hard to say who will win in the end, but it’s safe to say that they’ll continue to innovate mobile payment systems and propel the cashless trend in China and the rest of the world. 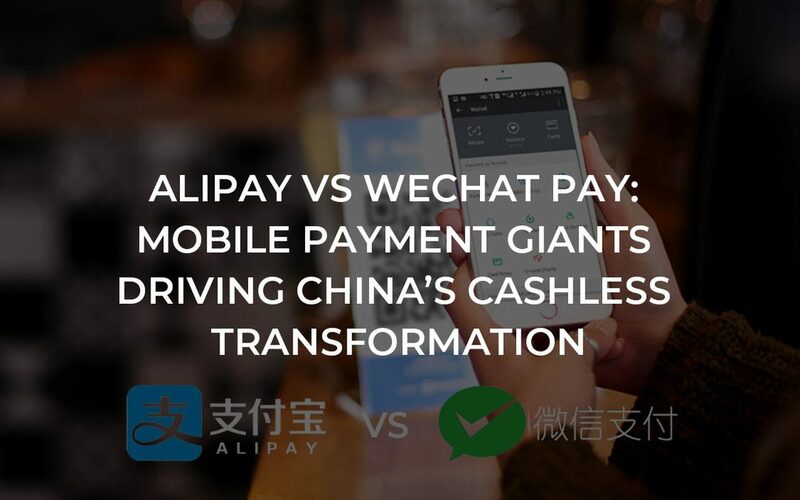 Disclaimer: This article <Alipay vs Wechat Pay: Mobile Payment Giants Driving China’s Cashless Transformation> was originally published in Jumpstart Magazine.